Japanese Grammar – What’s it all about? In a recent poll of mine there was many responders who said they wanted to learn more about Japanese grammar from this blog. 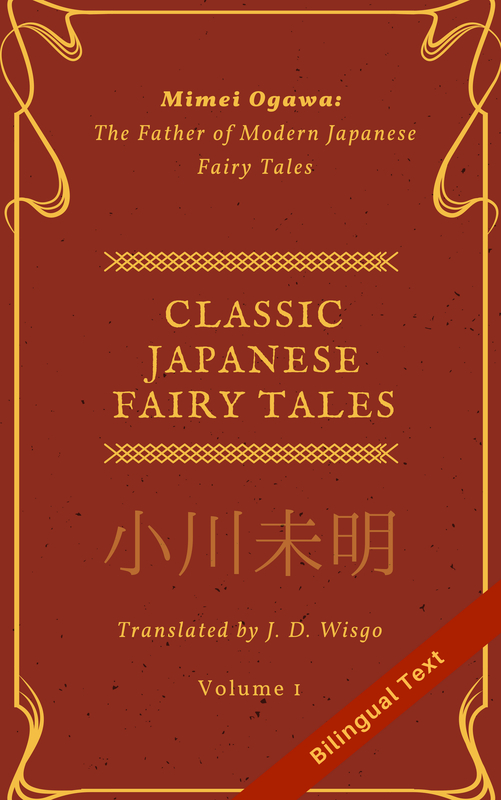 While there are many sites and books out there that have a great deal of useful information about Japanese grammar, I thought I would write a post that looks at grammar from a high-level to help guide others in studying this challenging language. What parts of Japanese grammar are most important to learn? Without getting into long-winded linguistic explanations of grammar, I’d say that grammar is basically the set of rules or equations that are used to put together words into properly formed sentences. Another way used to describe these rules ‘syntax’, which you may have heard of if you’ve studied computer languages. You can memorize millions of words and the characters that represent them, but without the proper grammar you can never make natural sentences, and you’ll have a very hard time of understanding since you’ll have to guess from many possible meanings. I’ll give a list of fundamental categories of grammar that are required to reach any level of fluency in Japanese, not in any particular order. 1) Word order: Basic Japanese word order is [subject] [object] [verb] , which is a big shift from English where the object is usually at the end. 2) Word omission: It’s important to know that subjects can be frequently omitted in Japanese (see post here). 4) Adjectival/Relative clauses: How long phrases modify a word is a very common structure and Japanese is quite different from English in this respect (see post here). 6) Particles: Particles are one of the core parts of Japanese grammar, and learning each particle along with its various uses is essential (see posts here, here, here, and here). 8) Levels of politeness: This isn’t technically a separate category since “The copula” and “Verb” cover it, but in Japanese polite language (敬語) is very important to communicate naturally, so learning the ins and outs of that is a high priority. 9) Counters: Different types of objects in Japanese are counted with different counters. For example, flag objects are counted with ~枚（まい）, such that three pieces of paper is ３枚 and the third piece is ３枚目。While these can be tedious to learn, from a grammar perspective all you need to understand is the general patterns and the rest falls into place naturally with enough memorization. 10) Pronouns: The words これ、それ、あれ are used very commonly in Japanese, along with related words such as これ and ここ. A good grasp of their usage and meaning, especially the fact they can represent both physical and mental distance, is an important aspect of Japanese grammar. 11) Compound verbs: There are many cases in Japanese where a verb can be modified by another verb to change it’s meaning. You don’t need to memorize all these at once, only the general pattern which is [verb in pre-masu form] + [modifying verb]. For example, 歩き (pre-masu form of ‘to walk’) ＋はじめる(to start) => 歩きはじめる, which means “to start walking”. There are also a few cases where verbs can be modified by a adjective (see the post here). 12) Abbreviations: I separate these from normal vocabulary since many of them are not in a dictionary. I wrote a post on these here. Except for a few other minor things, thats it! Once you have a good handle on the above items, you can pretty much learn anything using a dictionary and an example sentence or two. It can be tedious and take years, but it’s mostly just memorization as opposed to understanding how grammar rules work which is a much more challenging endeavor. The next important thing to learn (besides individual words themselves) is what I call grammar structures. A grammar structure is basically a pattern that is made up of multiple words and expresses a set meaning. For example the grammar structure “~したほうがいい” is one of the first which I learned and means something along the lines of “is better to do ~”. While quite numerous, these grammar structures are much different than learning the grammar fundamentals that I enumerated above. The reason is that with knowledge of the fundamentals you can quickly understand almost any grammar structure and easily store it in your head for later access. For example, taking the expression “~したほうがいい” as an example: if one understands the past tense conjugation of verbs, the particle が, and the conjugation of i-adjectives, one can look up the words ほう(方) and いい and figure out the overall meaning, as well as understand how to apply the pattern themselves with a different verb. Usually the meanings for these set phrases are not random and correlate strongly to the individual words, and if you think about this one I’m sure you’ll see what I mean. Of course it’s not very polite to tell students of Japanese: “Now that you’ve learned grammar, just look up the rest in the dictionary”. With enough patience that can work with reading, and possibly writing, but when speaking or listening there is typically no time to pull out the dictionary. That’s why a Japanese teacher’s job (or website, textbook, etc.) is to present groups of words which are used frequently in daily life (like color words, or how to tell time), or are particularly hard to learn from a simple dictionary lookup (like this). But just listening or reading native Japanese is a great way to increase your vocabulary, especially if you keep track of the unfamiliar words and look them up later. Recently I had read a blog post where someone quoted a book stating that grammar should be given a focus later, once the person learns basic conversation skills. I completely disagree, since learning common expressions will be that much easier once you know the grammar fundamentals. For example, the expression “僕の名前は〜です” can be easily learned if someone knows the basics of の、は, and です, but without that they are forced to do blind memorization which is tedious and easier to forget. I agree that learning all the fundamentals of grammar before moving onto anything else can be quite tedious. The best is a balance where learning a few expressions in parallel give satisfaction from actual usage and recognition of these phrases, and in turn motivates to continue learning. Just don’t wait – give grammar a fair share in your study time from the beginning, and you’ll be rewarded generously for it.